Chiang Mai looks absolutely magical. 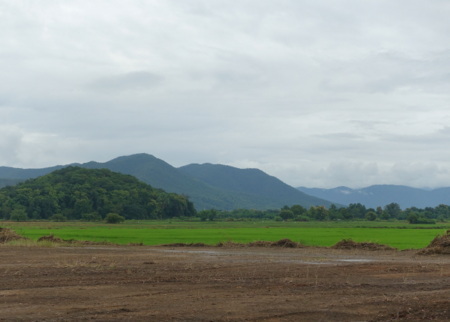 With misty green mountains, waterfall and elephants … how gorgeous. Lovely photo of you and your mum. Wow, what a treat to visit Thailand and share your beautiful story with you. Thank you! Your trim looks gorgeous – I can only imagine all the beautiful projects they will become! I’m so happy that you had the opportunity to explore such beauty and reconnect with some of your family. Thank you for sharing a bit of the experience with your readers. That trim is amazing – such colorful and delicate stitches! The magazine looks lovely, too. Crossing my fingers! How wonderful for you and your Mother, what a lovely photo of you both!! I’m so happy for you to have had the blessing of this time together, what a gift. Thanks for your gracious spirit and generosity, once again. The photos from your trip to Thailand are beautiful, especially the purple water lily. What a beautiful country. And what a wonderful opportunity to reconnect with your biological mother. The trims look lovely. Thank you for sharing pieces of them with the winner of this contest and the memories of your trip. 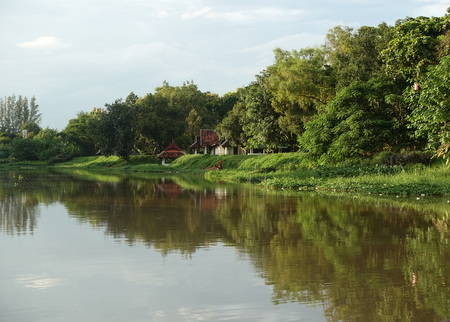 Chiang Mai looks absolutely magical and serene! I’ve never heard of it until now. Thank you so much for sharing this special place! Very lovely photo of you and your mother! The strong bond you have with one another is quite obvious. What a blessing to spend this time together. I’m glad you enjoyed your visit and found peace there. What a beautiful piece of the country. The trimmings are gorgeous. I am especially drawn to the brighter blue design in the center, but they are all exquisite. Thank you for the opportunity to win! 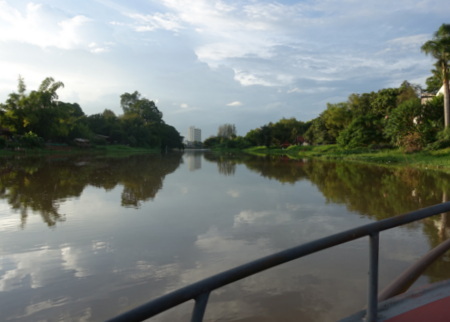 Becky, Your photos brought me beautiful memories of Chang Mai! I think i know that elephant! We traveled there a couple years ago and loved exploring up into the mountains and riding the elephant through the forest. Your trims are beautiful & thank you for a chance to win the goodies! 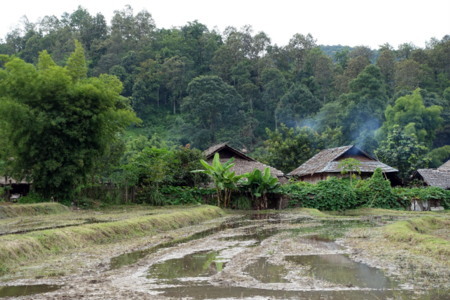 I love Thailand, especially Chiang Mai. It’s such a contrast to Bangkok. I look at your lovely pictures and it brings back happy memories of a beautiful country. The terraced gardens in the North just took my breath away and the elephants made me smile! What a beautiful place. It’s definitely going on my travel list. I’m so glad you enjoyed your visit. I am a new reader and am enjoying your blog and your gentle wisdom very much. Thank you for sharing with us. What an amazing adventure! Such a generous and kind soul you are. I always feel peaceful after reading your posts. Your photos are lovely. Thank you for sharing your trip. To be a part of two very different cultures must truly be amazing. You definitely had a wonderful adventure. Thank you for sharing it. This is a great give away! Your photographs are lovely. I especially liked your saying that the water was like a mirror. That’s beautiful. Thank you for the giveaway! oh what a beautiful place you were able to enjoy Becky. You and your mom look so very happy. I would have been delighted to no end to have an elephant in my back yard 🙂 Bella Grace sounds like a very beautiful magazine. 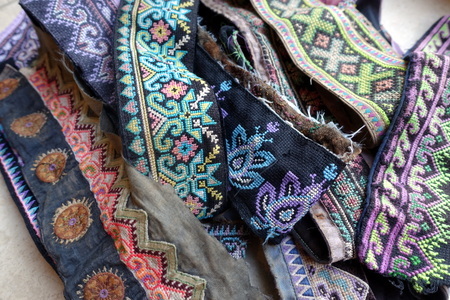 Thank you for your generous giveaway, and those gorgeous trims….I think they’d make a lovely addition to prayer flags. What a lovely adventure!! How inspiring it must be to be in such a magical place!!! Thank you for sharing your story and your travels!!! This magazine looks lovely, too!! One of my best friends had a little girl last December and her name is Bella Grace, so I’m totally intrigued!!! Oh, Becky, what a beautiful experience. Sharing with your birth mother her roots, and yours-what a gift. I’m so glad you were able to reconnect again. This magazine looks stunning. Thank you for being so generous, and the trim, what a treat to come across it. Have a good week. Hi Ladies…and thanks for the sweet comments. And Melanie, just to clarify a bit. 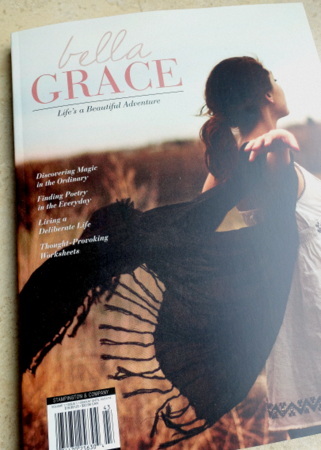 I’m not featured in this issue of Bella Grace (I’m just a participant in the blog hop). What beautiful memories you and your mother made in that softly-shaded, green and growing magical place, Becky. I am sure your Mother treasures every minute spent with you, as do you with her. It warms my heart to think of the moments you had together, with her proudly showing you around in her land and home. Thanks again for sharing your time there. Discovered these beautiful photos on a very hot, humid day. What a pleasure to let my mind travel through the cool green countryside you visited. The elephant was an unexpected surprise! Thanks for the opportunity to win both generous gifts. that would have been an incredible trip. so magical and meaningful. love learning about this new magazine. Becky, thank you for sharing your personal journey to your homeland with us. I can’t imagine the emotions you must have experienced during your visit. The sharing of stories, experiences and feeling their love is such a blessed gift. I love the photo of you and your mother; you both radiate so much love and tenderness. Thank you for letting us know about the new magazine. The last time I went to a book store was to meet a very special woman, so I’m not aware of all the latest books. Your amazing adventure gave my heart a warm hug. Looks like a fabulous magazine that would really spark my creativity! Dear Becky, I’m so happy for you to have reconnected with your mom. I pray you will be able to go back again sometime for another visit. Your trims are yummy. Thanks for the great giveaway. Take care of yourself. What? They get to have elephants as pets there? Man! It truly looks like a serene and peaceful place — I’d love to visit one day! Thanks for sharing! Thank you for sharing your Soul Journey ~ your photos give such a sense of peace and beauty. I’m so glad you and your mother could reconnect with the land of your ancestors. What a beautiful story and gift for all of us who yearn to know our mothers and the land. Thank you for sharing your trip through your words and beautiful photos. So beautiful, thank you for sharing your journey with us. Thank you for sharing your journey! Your photos are beautiful as is the trim collection. Thank you for sharing your experience through your lovely words and images, and congratulation on your publication in Bella Grace! What beautiful photos! Thanks for sharing. Textiles and books make my heart sing, so thanks, too, for the opportunity to win those! 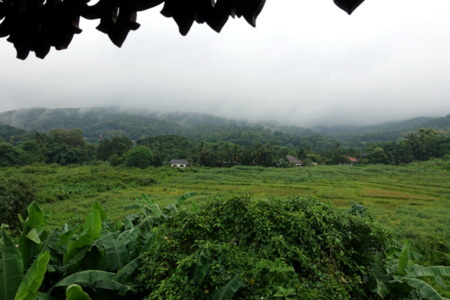 Lovely, so lush and green and misty, what an adventure! 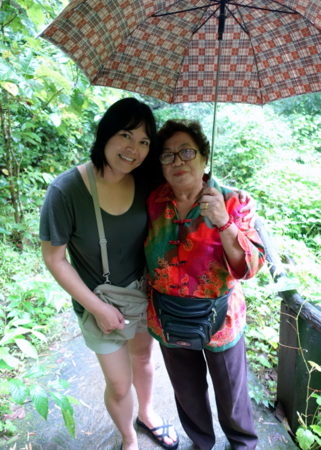 The picture of you and your mother under the umbrella is so, so sweet. Thank you for sharing and for your generosity!! 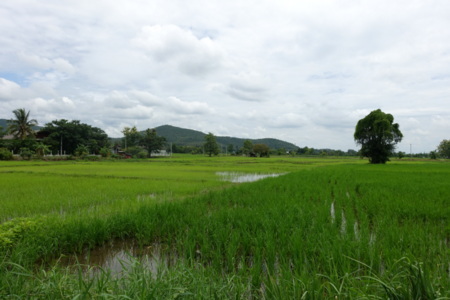 So much beauty and lushness in the Thailand Countryside. My brother has traveled there numerous times and would like to retire there someday — after reading your story and viewing your photos, I have a better understanding of the peacefulness he talks about. My favorite photo was the one of you and your mother — how blessed you are to spend time together. TheChiang Mai handmade trims are beautiful — thank you for the opportunity to win them and the copy of Bella Grace. Looks Iike an amazing trip! So beautiful! Lush, green goodness for all! 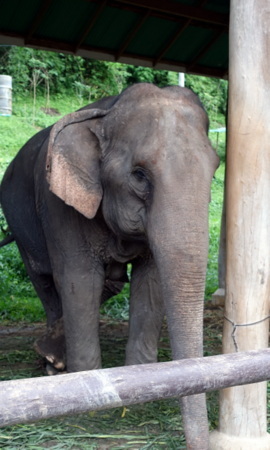 I know I am too late for the contest but wanted to say I was recently in Chiang Mai and loved it! So sweet that you were able to visit where your mom lived – what an extra special visit for you. Love the elephant at the back window! Just had a chance to read this….how beautiful. I know you had a special time with your momma. What a growing time for you, Becky, and such wonderful time with your Mother! I am so very pleased to hear your visit was so enriching. I still have to respond to your last email, sorry for the delay- my reply is long so I’m just taking my time to really be present with my heart and mind.